Internal Plush Thick Velvet Pantyhose/Stockings,100% Brand New,internal plush, warm, fashion and comfortable lady stockings. 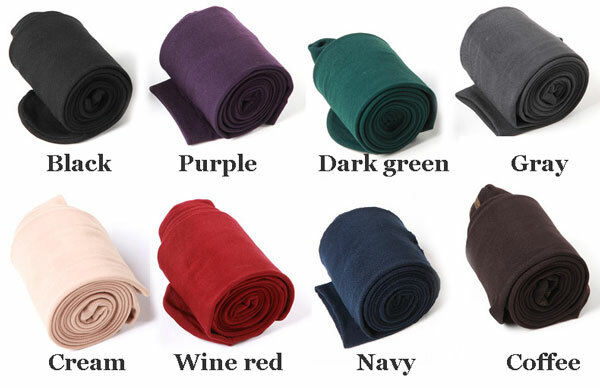 Both horizontal and vertical stretch, made of velvet fabric. Internal Plush Thick Velvet Pantyhose/Stockings,100% Brand New,internal plush, warm, fashion and comfortable lady stockings. Both horizontal and vertical stretch, made of velvet fabric. Beautiful three-dimensional tailoring, fine art, very stylish, special, long lasting. Velvet pantyhose, as a gift to girl friends is also a good choice. Best match with silk, gauze, chiffon fabrics, such as skirts and casual tops! We have eight colors for you to choose.